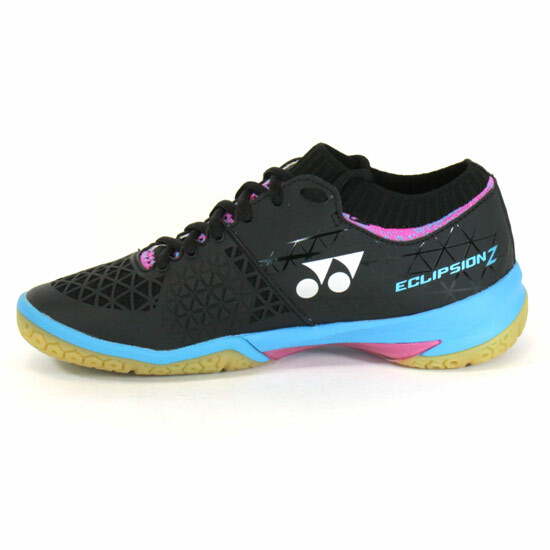 Yonex Power Cushion Eclipsion Z Womens Badminton Shoes are a fast, lightweight shoe with highly breathable upper. The new design improves the fit for better comfort even in heavy movements. TPU Support - Plastic bridge under the arch that extends further down the shoe to prevent lateral torsion and provide high stability at a low weight. Upper – With Durable Skin, provides improved heat resistance, shape retention and durability. Asymmetrical Lacing - For a more comfortable fit the lacing is curved to follow the contour of the foot. This helps ease the pressure on the upper of the foot from the shoe when the foot is flexed. 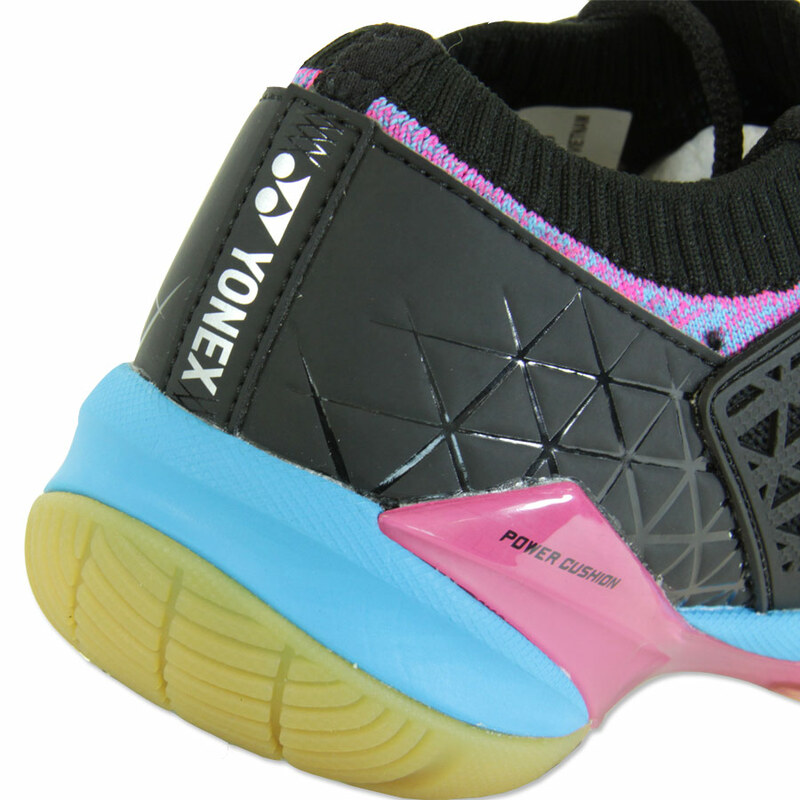 The Double Russel Mesh on the upper allows for maximum breathability. 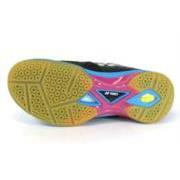 ToughBrid Lite is a foam used in the shoe for cushioning to reduce stress on the foot and heels. 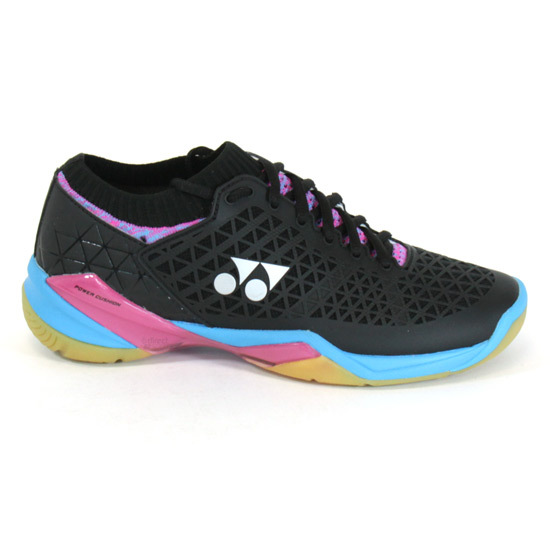 The Lite version provides the same cushioning as the original but is 11% lighter. Power Graphite Sheet is a midsole support system under the arch of the foot to provide strength at a minimum weight. 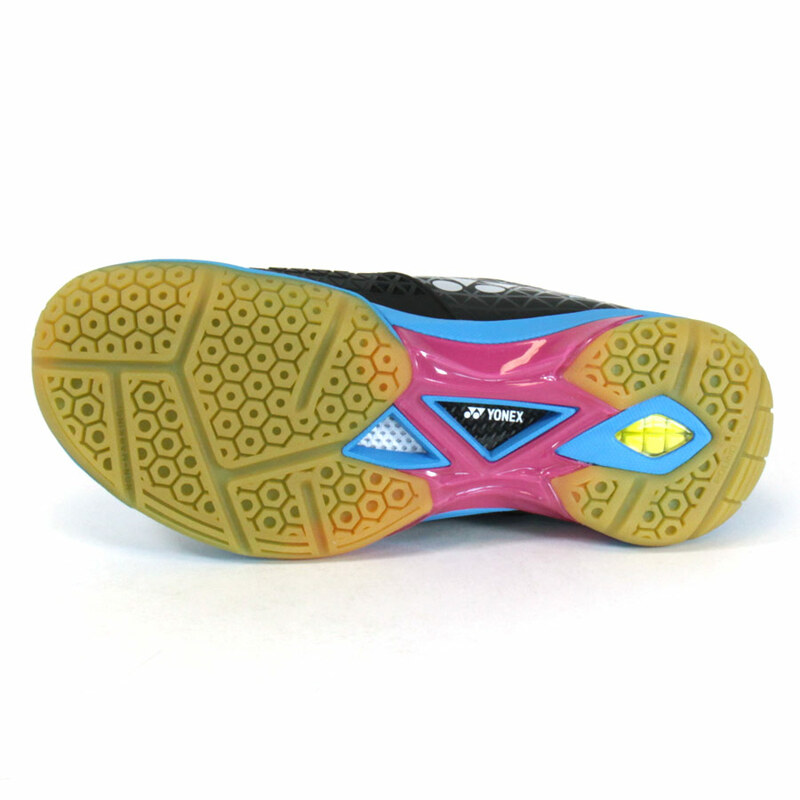 This lighter version helps to reduce the weight of the shoe while still keeping the build and durability of the shoe.